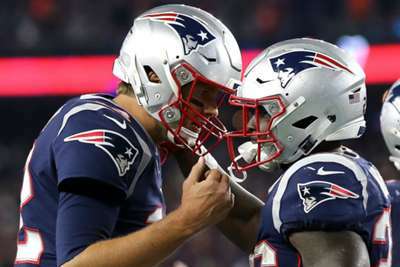 The New England Patriots prevailed 43-40 against the previously undefeated Kansas City Chiefs in a thrilling NFL showdown. There is 18 years between two of the game's best play callers, but Sunday there was only three points separating Pats star Tom Brady and Chiefs QB Patrick Mahomes at Gillette Stadium. Brady – 24 of 35 for 340 yards and a touchdown – came out on top in Foxborough, Massachusetts, where the veteran engineered a seven-play, 65-yard scoring drive to seal victory – Stephen Gostkowski's field goal the difference. The 41-year-old pulled off another memorable fourth-quarter performance and even did some things fans had not seen in years. It is hard to keep surprising people after a record-setting 200th regular-season win, but Brady did just that when he carried the ball four yards into the end zone. The Patriots (4-2) had been trailing by three at that point, and it was the first time since 2012 that Brady ran in a touchdown beyond the one-yard line. The two teams combined for 30 points in the fourth quarter for one of the best "Sunday Night Football" performances to date. Everybody knows Mahomes can throw — in the pregame broadcast he admitted he could launch a ball up to 82 yards, and said he could probably shoot for 85 — and Brady is now the winningest quarterback of all time. But their arms, ability to read a defense and illusiveness in the pocket does not matter if you cannot get it done in the red zone — and the Patriots won that battle. The Chiefs (5-1) were held to field goals each time they entered the red zone in the first half and the steady accumulation of points would have been fine, if they were facing anyone but the Patriots. New England answered with three touchdowns and a field goal to take a lead into halftime. The Patriots have been dominant at home when they start the third quarter with an advantage, and despite losing their grip on the lead, they put one last effort into their red-zone play with Brady's short run. Kansas City were missing their pass rushers and key defensive backs, and although the Chiefs did their best to stop tight end Rob Gronkowski and running back Sony Michel — two of New England's offensive leaders — the pair found just enough holes to squeeze through. A powerful stiff arm from Gronkowski helped set up a field goal with just over three minutes left, and another big run from the big man put the Patriots in position for the game-winning field goal. Michel was also a workhorse for the offense. He led all rushers with 106 yards on 24 carries and also tallied two touchdowns. Gronkowski finished with 97 yards on just three receptions. A two-interception week for the second consecutive game proved that Mahomes is in fact human and despite a strong fourth quarter, the young quarterback began to show his age making just a few too many mistakes against the veteran squad. 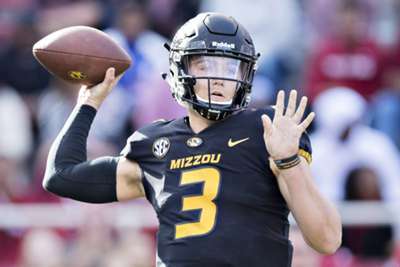 After not finding the end zone for the first half, Mahomes – who was 23 of 36 for 352 yards and four touchdowns – came out of the break and found running back Kareem Hunt for a 67-yard touchdown pass. It was Mahomes longest career touchdown and it put Kansas City back in the game. But he made a few missteps later in the second half, including an under-thrown pass that could have easily been taken to the house, and succumbed to the talents of Brady and company.